This post was inspired by Jaye Robin Brown's debut novel, which is out today. No Place to Fall is the story of Amber and her clear, high voice. I gathered some other young musicians to welcome Amber. These girls are a talented bunch with dreams and aspirations of the musical kind. All aspiring songwriter Minerva Watson wanted for her birthday was a ukelele. Instead she got an ugly sweater and a mysterious package from the father she thought abandoned her years ago. This information is just too much to deal with right now, so Minerva pushes it to the back of her mind where it can fester. 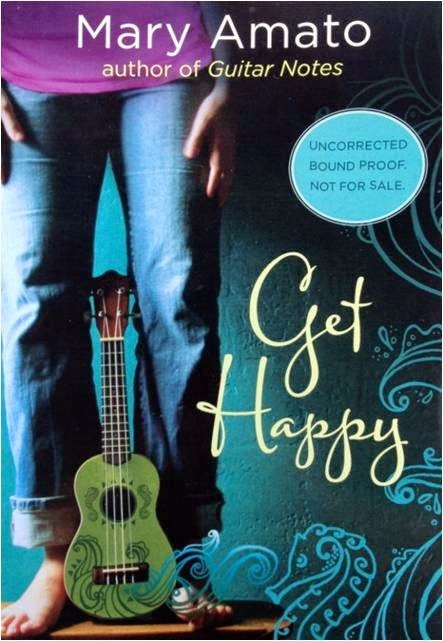 Besides Minerva has other pressing problems, like getting a job at Get Happy so she can buy herself that ukelele. From the moment I started it, I could tell I was going to enjoy Get Happy. Minerva has a fresh voice, and her friends Fin and Hayes are spunky and quirky and full of "vim and vigor." Mary Amato perfectly balances the tough stuff with the lighthearted. Review copy from Edelweiss. Amber Vaughn lives in a small town in the hills of North Carolina. Her world is small and times are tough, but she has a voice that soars if only she could figure out a way to let it fly. Jaye Robin Brown's debut novel is every kind of lovely. I read it in two sittings. I couldn't help but feel for Amber and wish she didn't have it quite so hard. Amber makes some poor choices, and, although they are mostly mistakes of the heart, all choices have consequences. And that writing! I feel like I know exactly what Amber's singing voice sounds like, and that blows me away. But most of all, Will. Oh, I loved Will. I loved imagining Amber and Will singing together while Will plays the banjo. 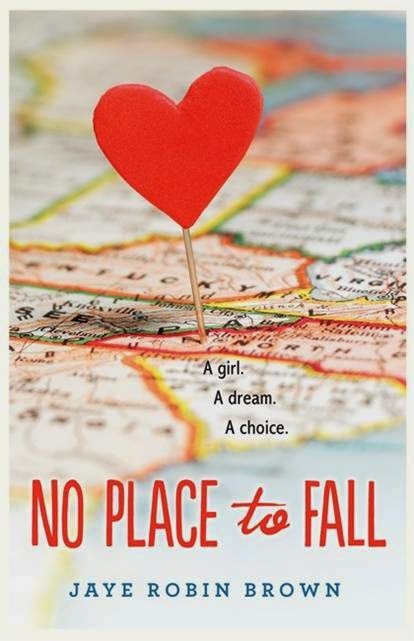 No Place to Fall is out December 9th, 2014. Review copy from Edelweiss. 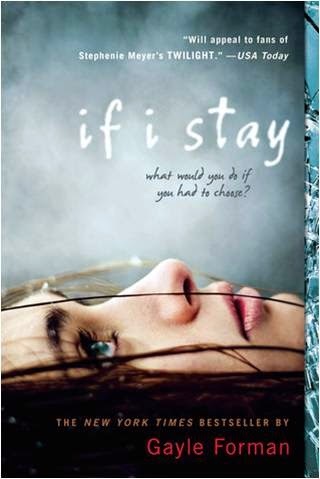 If I Stay was made into a major motion picture this summer. The trailer alone had me in tears, so I'm eager to see it from the safety of my own home when I'm in the mood for a good cry. Mia is a cellist with big plans. She has a loving family, a devoted best friend, and a great boyfriend. Then Mia's family is involved in a serious automobile accident, leaving Mia in a coma. From her coma Mia must decide whether to live or die as she slowly discovers want has happened to her and her family. I really love how Gayle Forman's book jumps back and forth in time, allowing the reader to really get to know Mia and wonder her family, adopted family, and friends. Lennie's vibrant, gorgeous, and full-of-life sister Bailey is dead. And Lennie (short for Lennon) is lost. 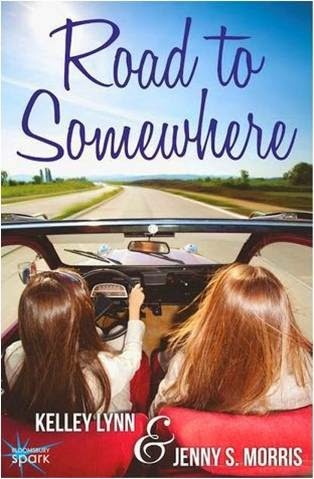 Left by their wanderlusting mother to be raised by their grandmother and their Uncle Big, the two needed one another even more than most sisters do. With Bailey gone Lennie finds herself getting involved with two boys, Toby, her sister's boyfriend, and Joe, the new kid in town, as she wallows and tries to pull the pieces of her life back together. Jandy Nelson sure can write. 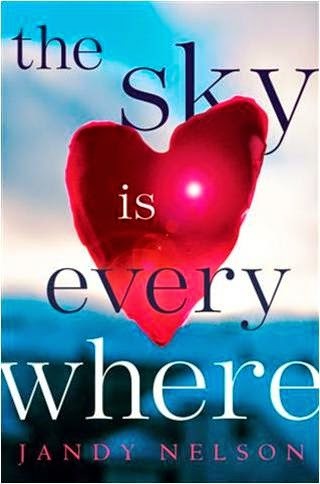 The Sky is Everywhere is poignant, and Lennie's growth is measurable. The supporting characters are just as fully formed as Lennie herself. I especially enjoyed that Lennie, a clarinetist, and Joe, a guitarist, are band geeks. Road to Somewhere stars two musical sisters. Charlie is the singer and Lucy is the pianist. Lucy is along for the ride on a road trip with Charlie and her friends. The goal is a singing competition in L.A., but, along the way, they visit Charlie and Lucy's grandparent's ranch in Texas. I've never really been into ranches or Texas or cowboys, but Kelley Lynn and Jenny S. Morris manage to make all those things incredibly attractive. This story is a lot of fun, but it also has some meat to it. Charlie and Lucy are full of insecurities. They have an overbearing father which makes finding themselves doubly difficult. They feel pitted against one another but long for a deep bond of love and sisterhood. Review copy from NetGalley.